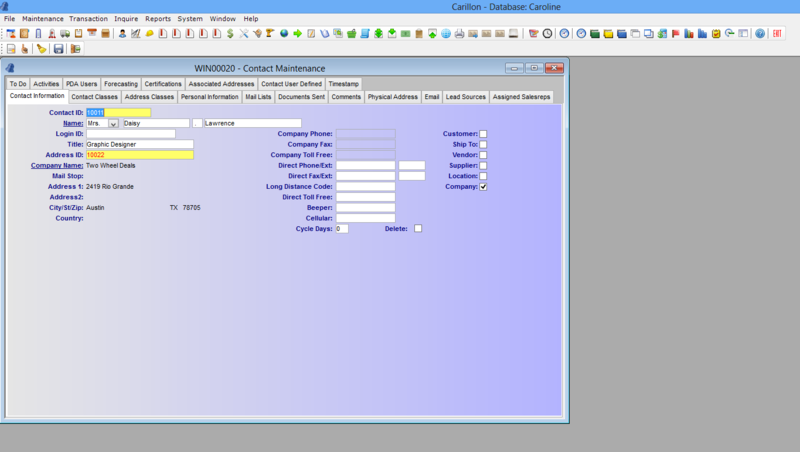 Carillon®ERP’s user interface is the same throughout the whole system. Once a user learns how to navigate in one window, they will know how to navigate through all of the windows in our ERP software. Carillon®ERP, when run on a Windows platform, is an MDI (Multiple Document Interface) application. This means you can have as many windows open at one time as your workstation will support. It’s not unusual for a salesperson to have a couple Sales Order Entry windows, some CRM windows and maybe a Customer Drill Down window open at the same time. Carillon wants your users to be empowered without having to open multiple copies of the application. If you’d like to see the look and feel of our system in action, check out all of our interactive demos and tutorial videos here.